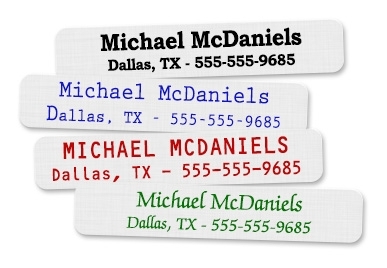 Two-line, white, iron-on labels available in your choice of font style and ink color. Label preview in your font choice. RED INK NO LONGER AVAILABLE ON IRON ON LABELS. Red Ink is available on Graphic Iron on labels.